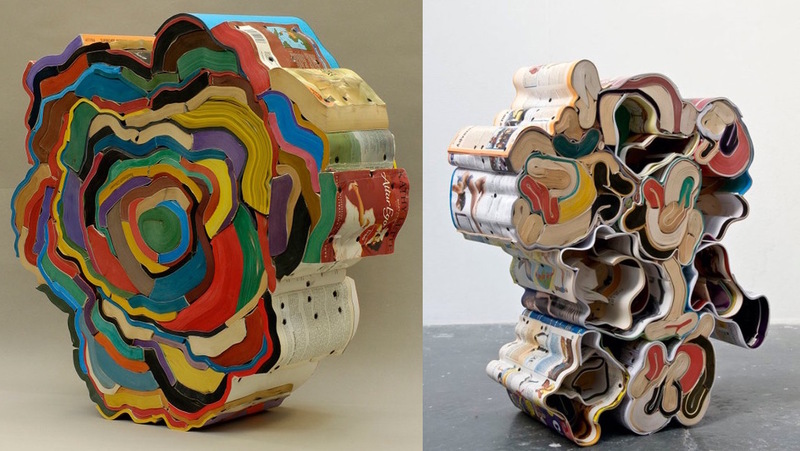 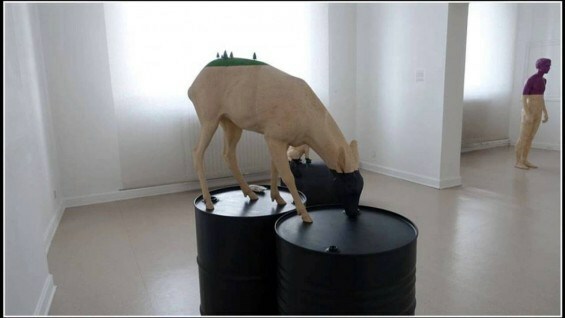 Mankind’s destructive impact on the environment is an issue as painfully blatant, as it is ever-increasing and as such, many people, especially people of the arts, have chosen to use their works as a medium to explore and condemn this act of hubris against nature. 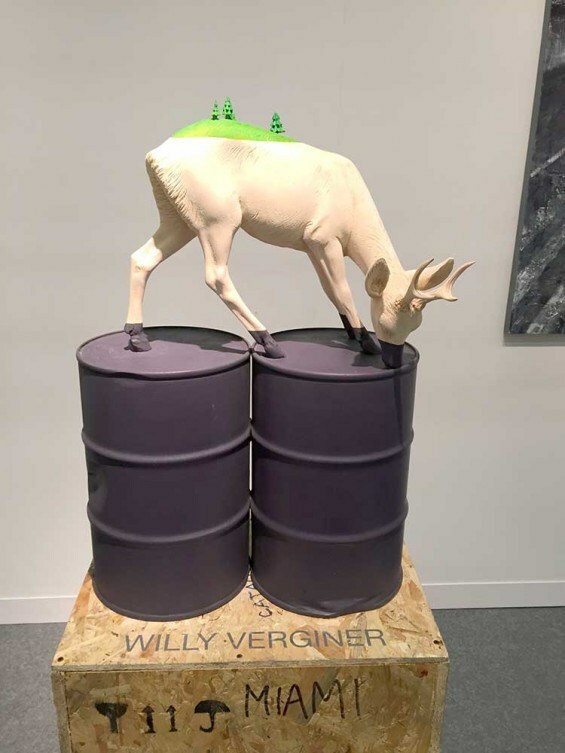 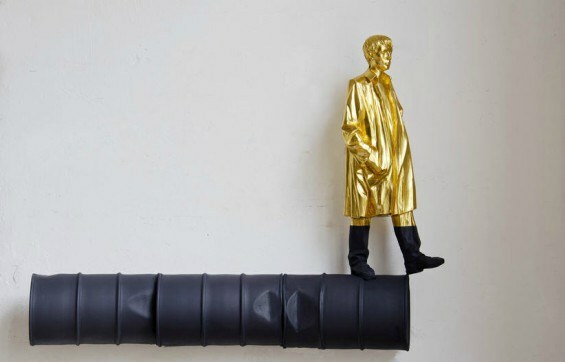 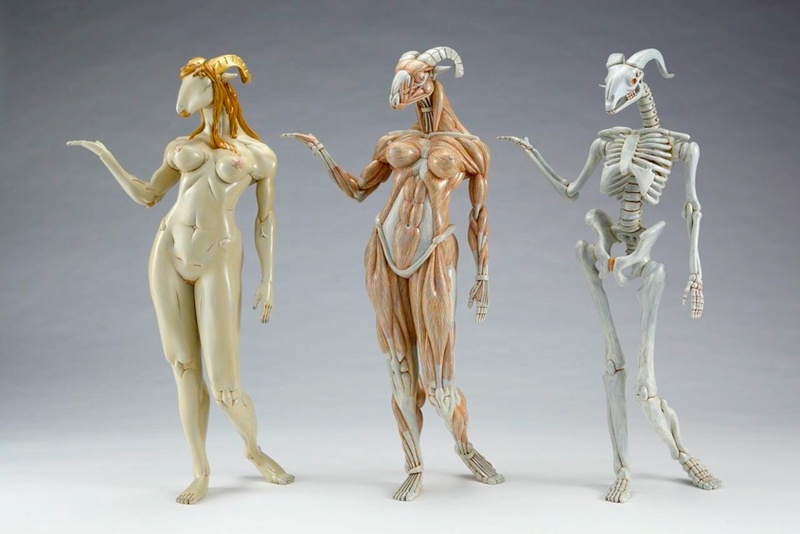 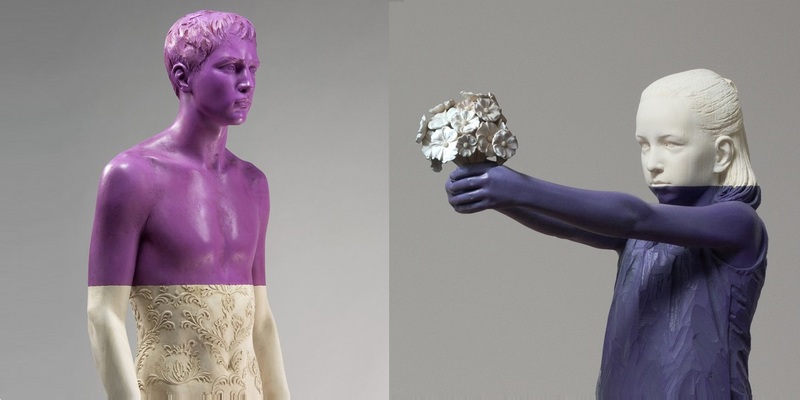 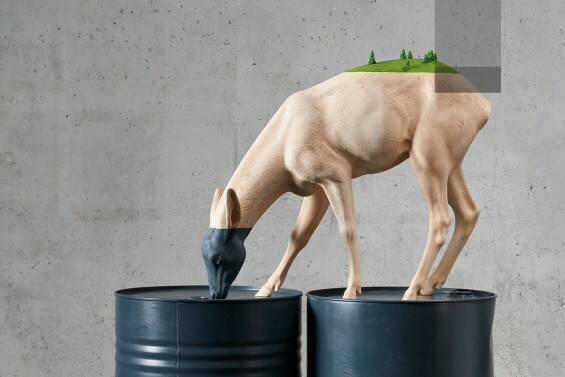 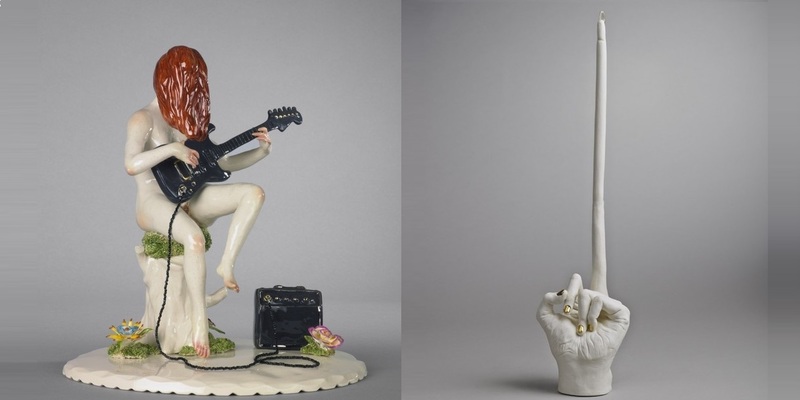 In the case of sculptor Willy Verginer, it is the quest for oil, along with its damaging effects on living things that is the main issue featured in his work. 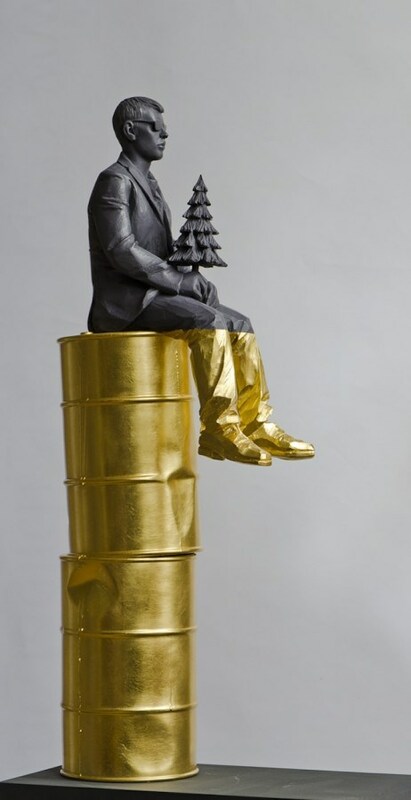 The artist, with each sculpture created from a single linden tree trunk, features animals, plants and people standing atop of black barrels of oil. 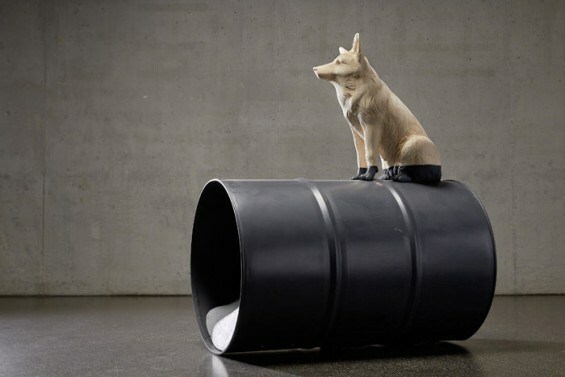 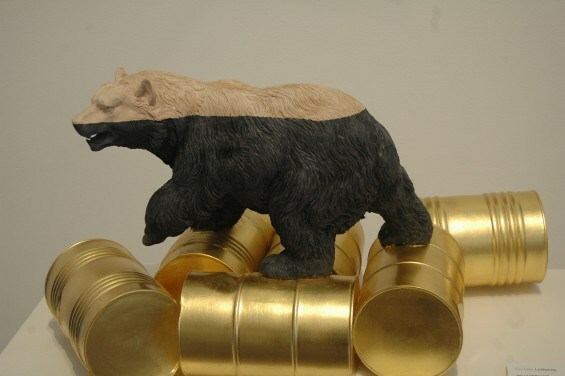 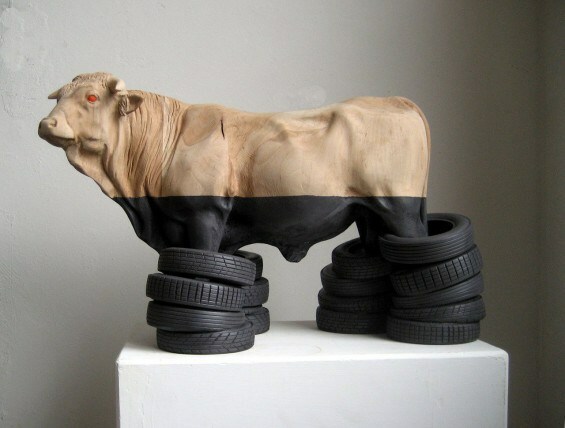 Though in some cases the black color of the oil is seen to gradually be transferred to the animals, as if contaminating them in a clear-cut message, in other sculptures the barrels are painted gold or silver to signify for human greed, leading to nature’s and, consequently and unavoidably, our own destruction.